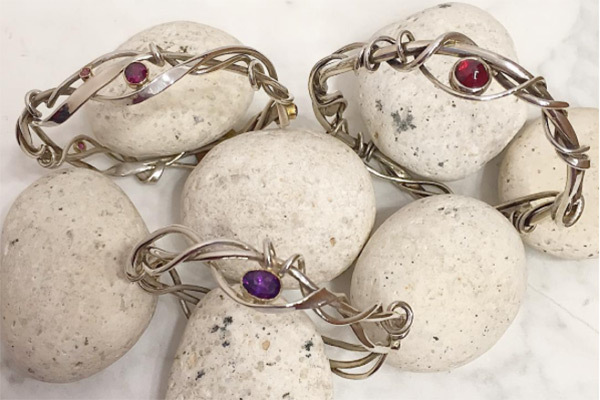 3 vine bracelets of sterling and gold with garnets and amethysts. Top Left: Faceted rhodolite 18k gold and sterling. $680. Lower: Amethyst 18K gold and sterling. $880. Top Right: Cabochon Garnet 18k gold and silver. $980.